Councils call for more power to clamp down on pavement parking - Click here to read the whole article on ITV News. Click here to read the whole article on ITV News. 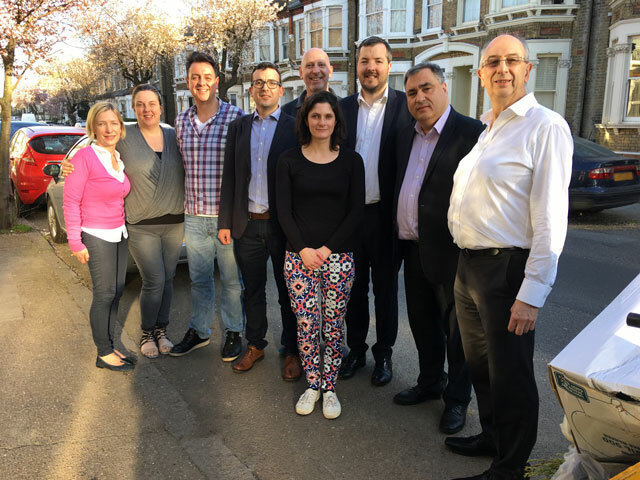 DRAG and a representative from neighbouring Gellatly Road were lucky to be able to host Mayor Sadiq Khan's new Walking and Cycling Commissioner, Will Norman. We were supported by the Deputy Mayor for Lewisham - Cllr Alan Smith, local Ward Councillor Luke Sorba and our GLA member Len Duval. After a walk around the neighbourhood, to demonstrate the challenges faced by residents, there was a discussion of DRAG's suggested actions to improve pedestrian and cycle safety. Drakefell Road Neighbours - Have your Say! THfest Thank you to @masalawalacafe for fantastic food at last night's sold out quiz @THfest - they went down a storm! EnviroLewisham It varies month to month but usually 85%-90% of what we collect from recycling bins is recycled, the remaining 10%-15% is non recyclable material that has been placed into recycling bins. EnviroLewisham We hope to continue to improve our recycling rates in the borough so that we can reduce the amount of waste sent for incineration as much as possible. Copyright © 2019 Drakefell.org. All Rights Reserved.